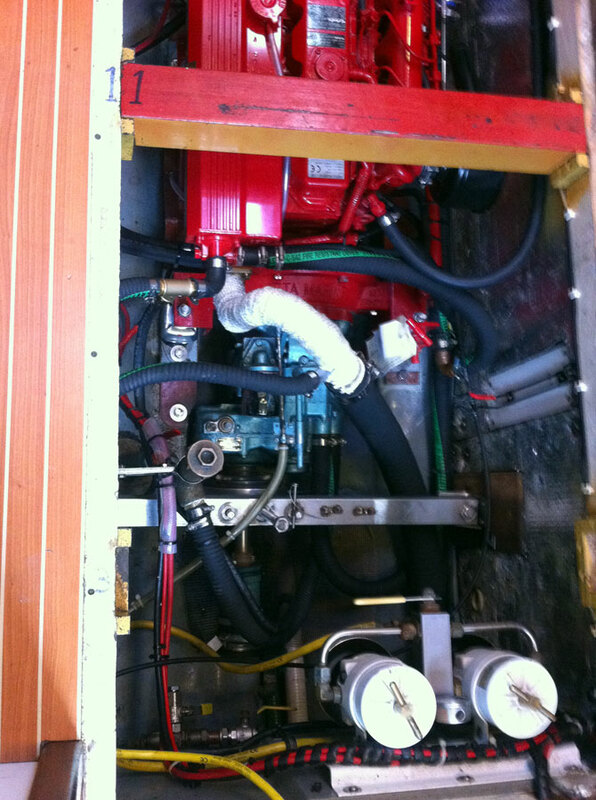 Originally fitted with a Perkins Prima M60, with TMP offset hydraulic gearbox. 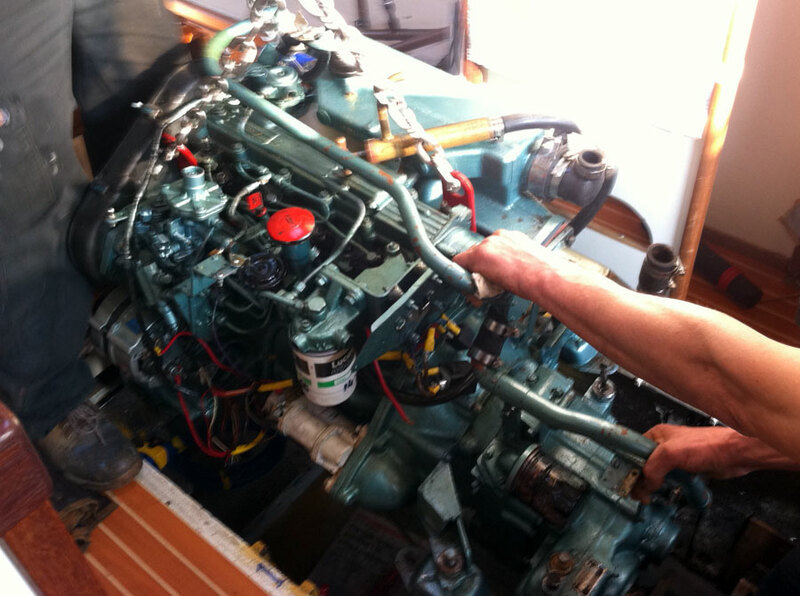 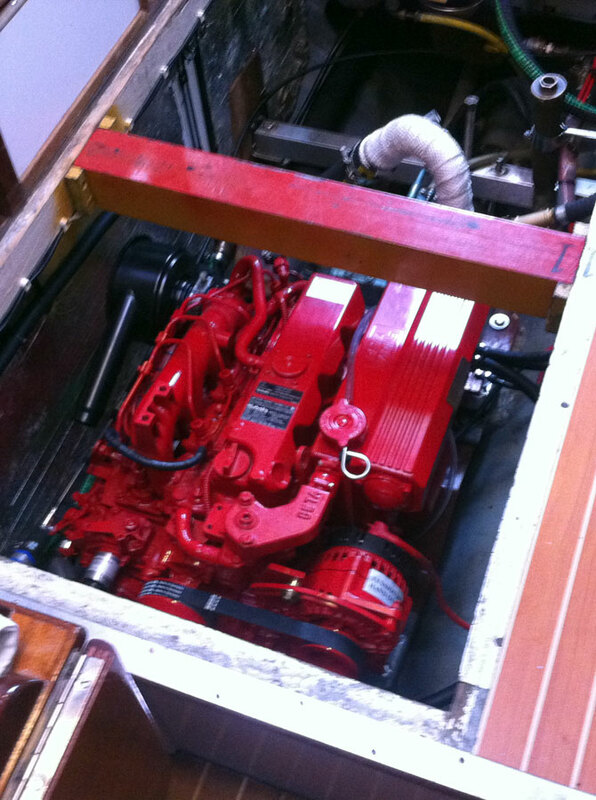 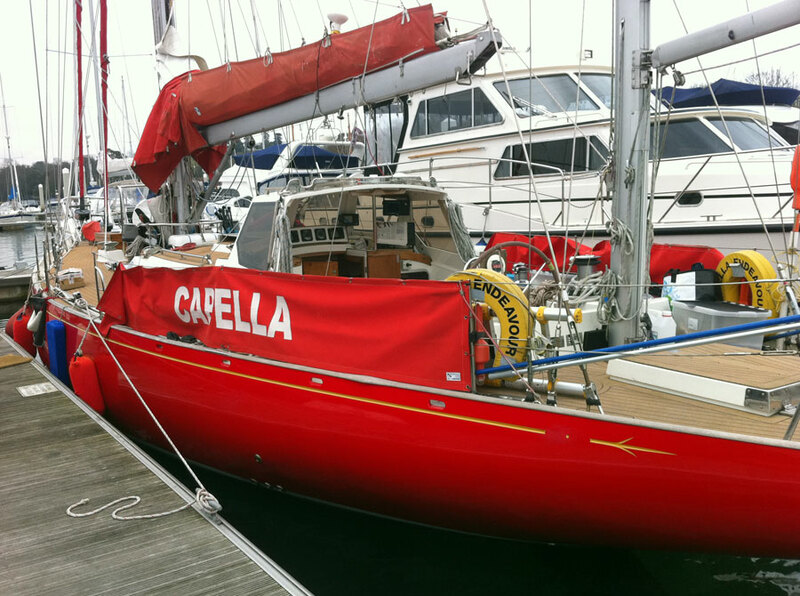 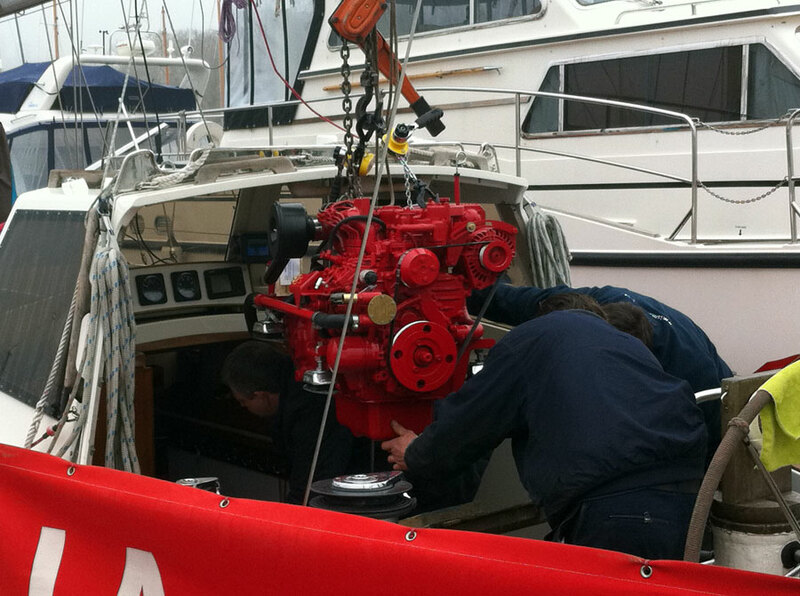 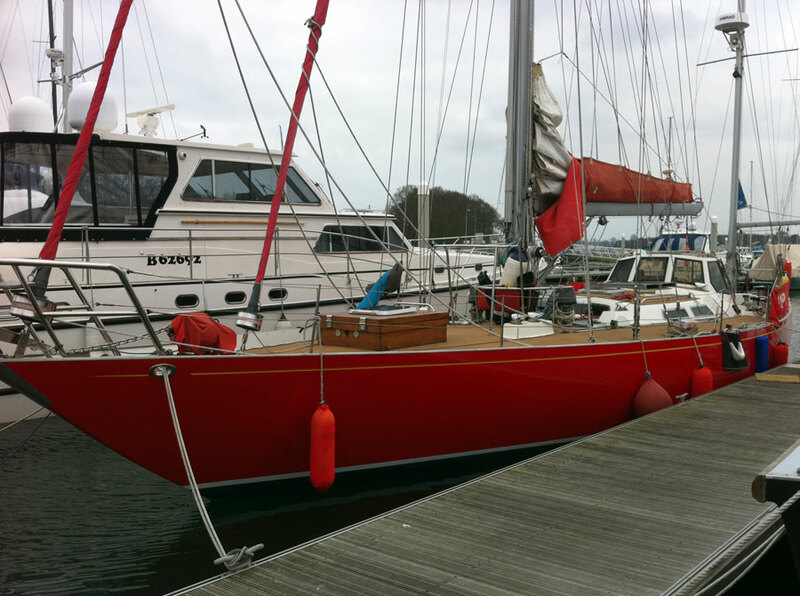 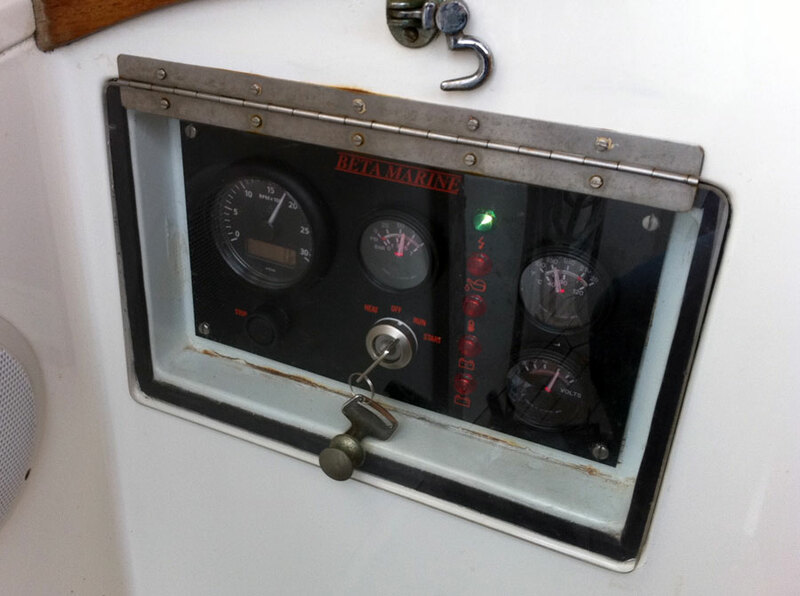 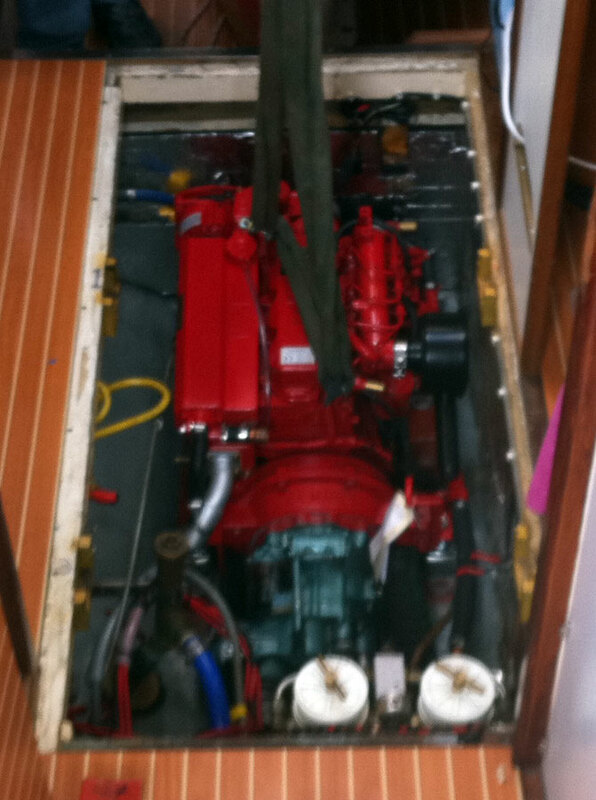 Refitted with new Beta 60 engine, married to existing TMP offset gearbox. 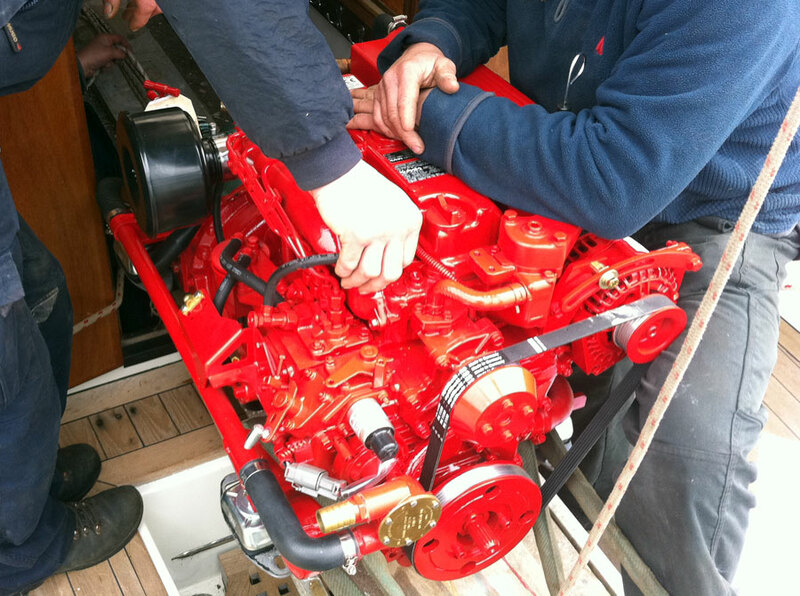 Work carried out afloat at Universal Marina.